This is the first in a series of three or four posts with dispatches from soldiers who experienced the Battle of Shiloh, April 6-7, 1862. The Battle of Shiloh lasted two days, April 6-7, 1862. Its unprecedented 24,000 casualties horrified both the North and the South. 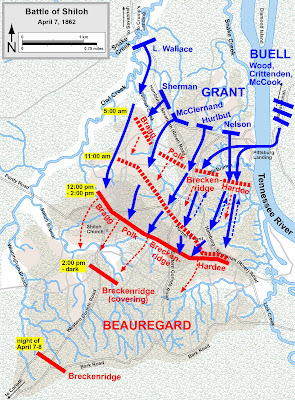 It started when recently united Confederate armies attacked and surprised Union troops under Gen. Ulysses S. Grant positioned with their backs to the Cumberland River. Through Grant's efforts and the timely arrival of Gen. Don Carlos Buell's Army of the Ohio, the Union forces rallied and regained the lost ground in a spirited counterattack on April 7. Although the 79th Pennsylvania missed the battle--much to the dismay of its soldiers--due to detached duty near Nashville, other units and individuals with Lancaster connections fought in their first full-scale battle at Shiloh. 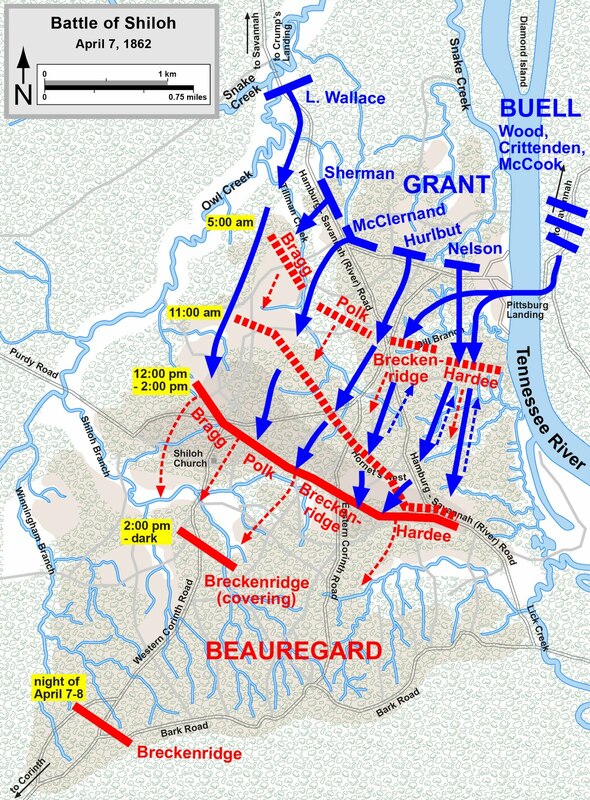 Most of them were part of Gen. McCook's Division of Buell's Army that rescued Grant and launched a spirited counterattack on April 7. Included among the Lancasterians in McCook's Division was Capt. J. Bowman Bell, of Company D, 15th U.S. Infantry. Although Capt. 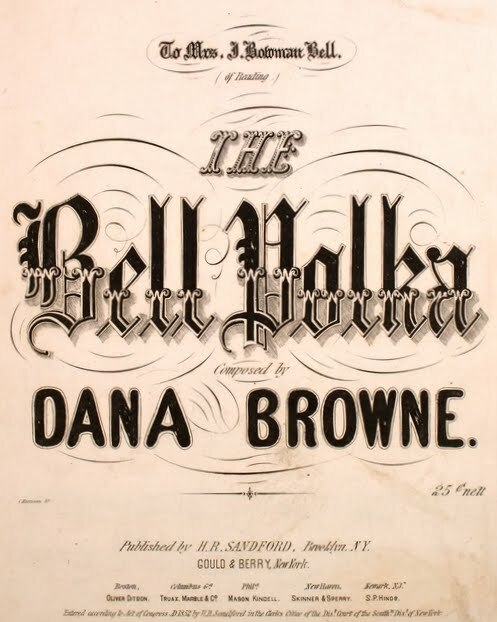 Bell (see "Find a Grave" reference) was from Reading, I believe he lived in Lancaster at certain points of his life, and he felt enough of a connection to write a letter to the Lancaster Daily Evening Express describing the Battle of Shiloh.